With VideoSync’s easy-to-use interface, you can drag and drop videos from your PC and enjoy them on your PSP™, iPod, or PDA... it’s your choice. Take your favorite videos with you wherever you go, it’s like carrying your videos right in your pocket. With VideoSync’s easy-to-use interface, you can drag and drop videos from your PC and enjoy them on your PSP™, iPod, or PDA... it’s your choice. Drop n' Drag video files to your mobile device. Sync your favorite videos to your iPod, PSP™, or PDA. Manage your PSP™ Memory an iTunes playlist seamlessly. Choose the quality of your video that you want on your mobile device. Fixed In Standard Quality and Long Play templates, the ISO MPEG-4 profile is now ASP (Advanced Simple Profile) instead of SP (Simple Profile). Fixed When outputting in H.264/AVC format, supports the possibility to output a file header with picture resolution values different from the real picture resolution. 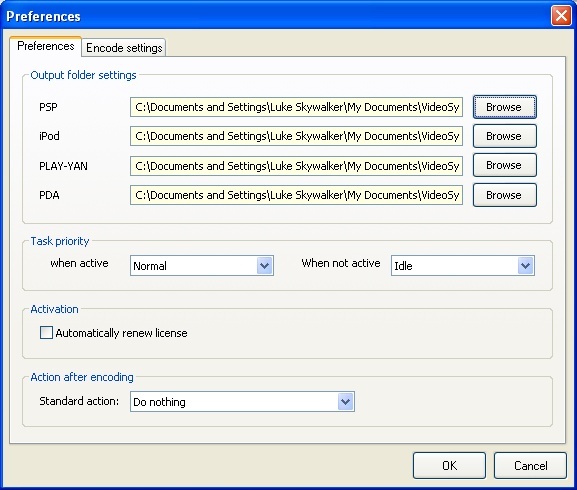 Updated MPEG-4 encoder engine updated. Improved LEAPS client improved to function in some regions where Internet traffic is filtered. 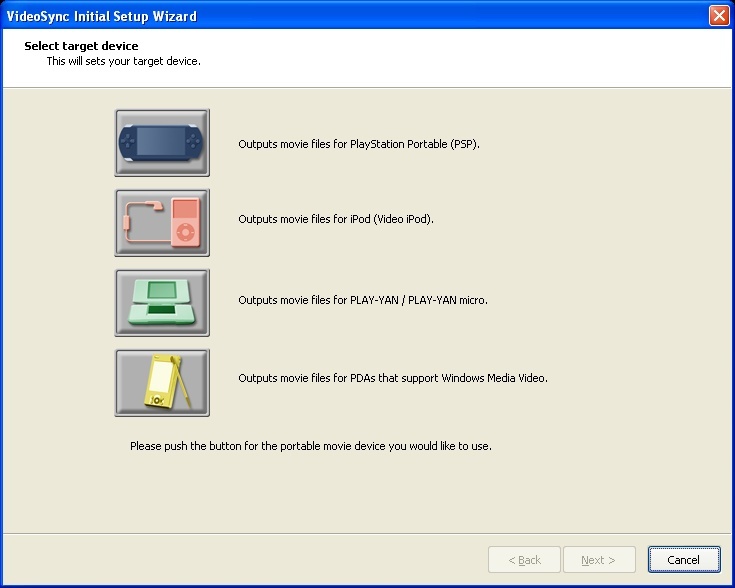 Improved The PSP Transmanager now recognizes the new firmware PSP identifier (SONY "PSP" MS USB Device). Improved The PSP Transmanager now does not overwrite the thumbnail (THM) file if it is still present in the PSP.